Young field of Echinacea purpurea. 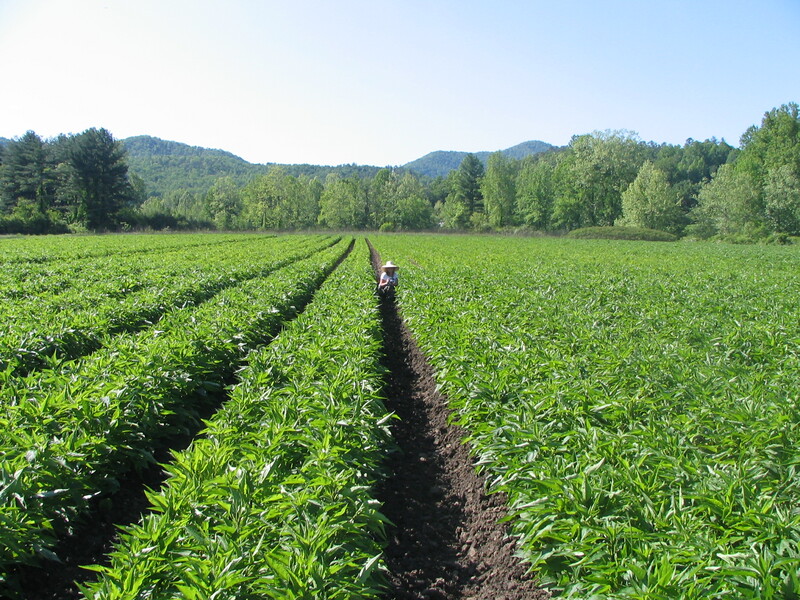 Gaia Herb Farm is a well known company in western North Carolina. They have a large farm and processing facility in Brevard in Transylvania Company. They also have large greenhouses and offices in Mills River in Henderson County. And right now they are building a new facility right across the street from the Research and Extension Center where I am located in Mills River. Matter of fact, when they are finished with construction, I will probably be able see the building from my office window. Gaia is best known for their extensive line of herbal extracts and other herbal products that they manufacture. They are also known for their farm where they grow some of the medicinal herbs they use in their products but also a large number of vegetables for their employees. Last summer I stopped out there to visit the farm and learn about their organic and sustainable production practices. I thought some of you might be interested, too, so here’s the Gaia Farm video interview.